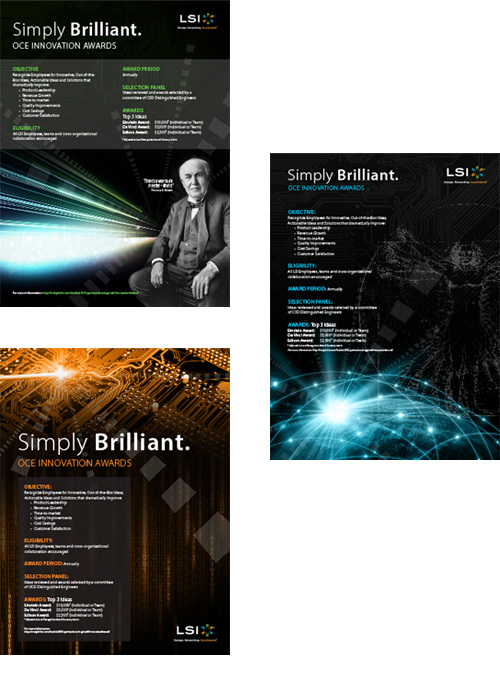 One of the business groups requested a poster to display in the office promoting their Innovation Awards. I looked for imagery that conveyed technology and inventing (some of the awards were named after famous inventors). These are the three options I provided. Created using Photoshop and InDesign.